Everyday Young Mum: Story: Finding out I was pregnant! 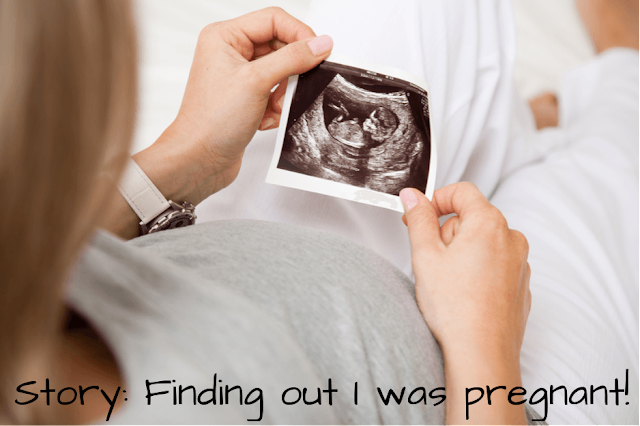 Story: Finding out I was pregnant! October 22nd 2015 was the best day of my life! This was the day I found out I was pregnant with my gorgeous boy! I had wanted to be a mum and after meeting Mike I knew he was going to be the person I had my babies with. We had been 'trying' for a baby for well over a year and due to other health reasons I began to accept that I wasn't going to have a baby. A week before I found out I had started taking some medication. I was told they would make me feel really sick. I knew that the medication I was taking would affect my baby if I was pregnant so decided to take a test. I went and took a test. I looked at the test 2 minutes after and saw it was negative and threw it in my bedside table. This in its self was un-usual as if I had done them before I would have thrown the straight into the bin. On the 21st October Mike, my sister and myself had planned a day out to Brighton. We had an amazing day and we were exhausted at the end of the day. At 10pm that evening I climbed into my bed and routed around my bedside table to find my remote and saw what a mess there was in there. So grabbed my bin and began to empty my bedside table and came across the test. I dont know what made me look at this test again, but I did and there it was. The faintest line!!! I was shocked and didn't know what to do. I grabbed the test and ran to my mums room to show her! We both decided that I should do one first thing in the morning to check. I went to bed with butterflies in my stomach, I was so excited/ nervous! I woke up at 6 am the next morning and I was dying to the test! As soon as I had finished up i wrapped the test in some tissue and ran back to my bed. I sat there with my hand over the little window so i couldn't see it before the 3 minutes was up. Those felt like the longest 3 minutes ever. I took a deep breath and slowly uncovered the window and there it was a clear as anything! A second line! I couldn't believe it. Fighting back the tears I went downstairs and showed my mum and sister. We were so happy!! I then called Mike and told him! I had never been so happy in my life! 42 weeks later my gorgeous little man was born! Want to read my birth story? click here!